On the 7th (Fri), get curious at Tasmanian Museum and Art Gallery and then steep yourself in history at Hobart Convict Penitentiary. To see where to stay, photos, other places to visit, and tourist information, read Hobart trip planner . Sydney to Hobart is an approximately 5-hour flight. You can also do a combination of train, ferry, and bus; or do a combination of bus and ferry. Traveling from Sydney in September, expect Hobart to be little chillier, temps between 18°C and 7°C. Wrap up your sightseeing on the 7th (Fri) early enough to drive to Launceston. Start off your visit on the 8th (Sat): take an in-depth tour of Beaconsfield Mine & Heritage Centre, admire the masterpieces at Queen Victoria Museum & Art Gallery, and then admire the verdant scenery at The Tamar Valley. Keep things going the next day: contemplate the long history of Woolmers Estate, then steep yourself in history at Entally Estate, then identify plant and animal life at Cataract Gorge Reserve, and finally take in the views from Alexandra Suspension Bridge. To find other places to visit, more things to do, traveler tips, and tourist information, use the Launceston route planning tool . Traveling by car from Hobart to Launceston takes 2.5 hours. Alternatively, you can take a bus. Expect a daytime high around 17°C in September, and nighttime lows around 4°C. Finish your sightseeing early on the 9th (Sun) to allow enough time to drive to Cradle Mountain-Lake St. Clair National Park. Kick off your visit on the 10th (Mon): hike along Cradle Mountain-Lake St Clair National Park and then hike along The Overland Track. For maps, more things to do, where to stay, and other tourist information, you can read our Cradle Mountain-Lake St. Clair National Park road trip app . Traveling by car from Launceston to Cradle Mountain-Lake St. Clair National Park takes 3.5 hours. Alternatively, you can do a combination of bus and car; or do a combination of bus and taxi. Wrap up your sightseeing on the 10th (Mon) early enough to drive to Devonport. Start off your visit on the 11th (Tue): explore the stunning scenery at Leven Canyon, look for all kinds of wild species at Lillico Beach Conservation Area, and then examine the collection at House of Anvers Museum of Chocolate. For traveler tips, reviews, maps, and other tourist information, read our Devonport trip planner . Getting from Cradle Mountain-Lake St. Clair National Park to Devonport by car takes about 3 hours. Other options: do a combination of car and bus. In September, plan for daily highs up to 17°C, and evening lows to 4°C. 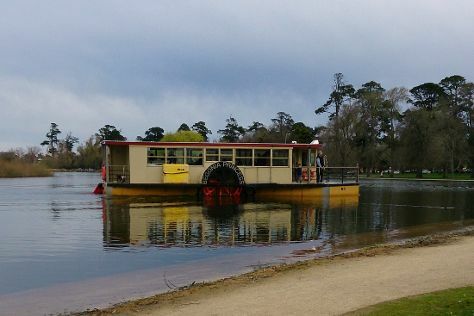 Wrap up your sightseeing on the 11th (Tue) to allow time to travel to Ballarat. On the 12th (Wed), admire the landmark architecture of St Patrick's Cathedral, take in the exciting artwork at Art Gallery of Ballarat, get engrossed in the history at The Gold Museum, then take in nature's colorful creations at Ballarat Botanical Gardens, and finally look for all kinds of wild species at Lake Wendouree. 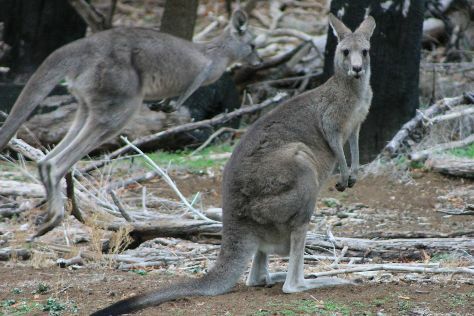 Get ready for a full day of sightseeing on the 13th (Thu): contemplate the long history of Sovereign Hill and then identify plant and animal life at Ballarat Wildlife Park. For photos, reviews, and other tourist information, go to the Ballarat tour itinerary planner . You can do a combination of flight and train from Devonport to Ballarat in 4.5 hours. Alternatively, you can do a combination of ferry and car; or do a combination of ferry and train. In September, daytime highs in Ballarat are 20°C, while nighttime lows are 7°C. Finish up your sightseeing early on the 13th (Thu) so you can travel to Aireys Inlet. Aireys Inlet is a small coastal inlet and town located on the Great Ocean Road, southwest of Melbourne, Victoria, Australia. 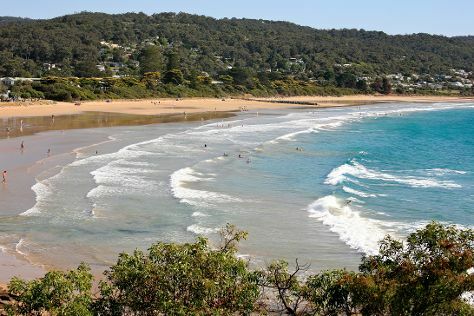 On the 14th (Fri), take a peaceful walk through Lorne Beach. For more things to do, traveler tips, and more tourist information, you can read our Aireys Inlet trip planner . 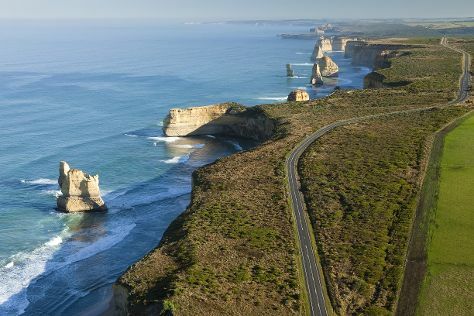 You can drive from Ballarat to Aireys Inlet in 2 hours. September in Aireys Inlet sees daily highs of 20°C and lows of 7°C at night. Wrap up your sightseeing on the 14th (Fri) early enough to travel to Apollo Bay. Apollo Bay is a coastal town in southwestern Victoria, Australia. Start off your visit on the 15th (Sat): stop by Bay of Apostles, then hike along Great Ocean Walk, and then take a peaceful walk through Mait's Rest. Discover how to plan a Apollo Bay trip in just a few steps with Inspirock's itinerary builder. You can drive from Aireys Inlet to Apollo Bay in 1.5 hours. Wrap up your sightseeing on the 15th (Sat) to allow time to drive to Princetown. Kick off your visit on the 16th (Sun): explore the wealth of natural beauty at Port Campbell National Park. To see maps, traveler tips, more things to do, and other tourist information, refer to the Princetown trip planner . Traveling by car from Apollo Bay to Princetown takes 1.5 hours. Alternatively, you can take a bus. Wrap up your sightseeing on the 16th (Sun) to allow time to travel to Warrnambool. Warrnambool is a regional centre and former port city on the south-western coast of Victoria, Australia. On the 17th (Mon), tour the pleasant surroundings at Logan's Beach, get impressive views of Tower Hill Wildlife Reserve, and then step off the mainland to explore Griffiths Island. For where to stay, traveler tips, maps, and tourist information, you can read our Warrnambool road trip planning site . Getting from Princetown to Warrnambool by combination of taxi and bus takes about 1.5 hours. Other options: drive; or take a bus. Finish your sightseeing early on the 17th (Mon) to allow enough time to travel to Melbourne. On the 18th (Tue), explore the world behind art at National Gallery of Victoria, learn about all things military at Shrine of Remembrance, and then admire the natural beauty at Royal Botanic Gardens. 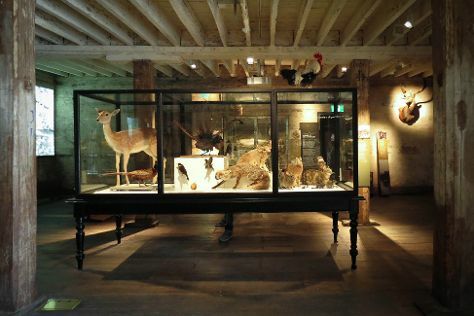 Keep things going the next day: examine the collection at Melbourne Museum, steep yourself in history at Old Melbourne Gaol, and then take in the spiritual surroundings of St Paul's Cathedral. To see ratings, more things to do, photos, and more tourist information, read our Melbourne road trip website . You can fly from Warrnambool to Melbourne in 2.5 hours. Alternatively, you can drive; or take a train. In September, daytime highs in Melbourne are 20°C, while nighttime lows are 7°C. Finish your sightseeing early on the 19th (Wed) so you can travel back home.